10,000 to 15,000 sandhill cranes migrate through the Crex Meadows Wildlife Area in late October and early November. 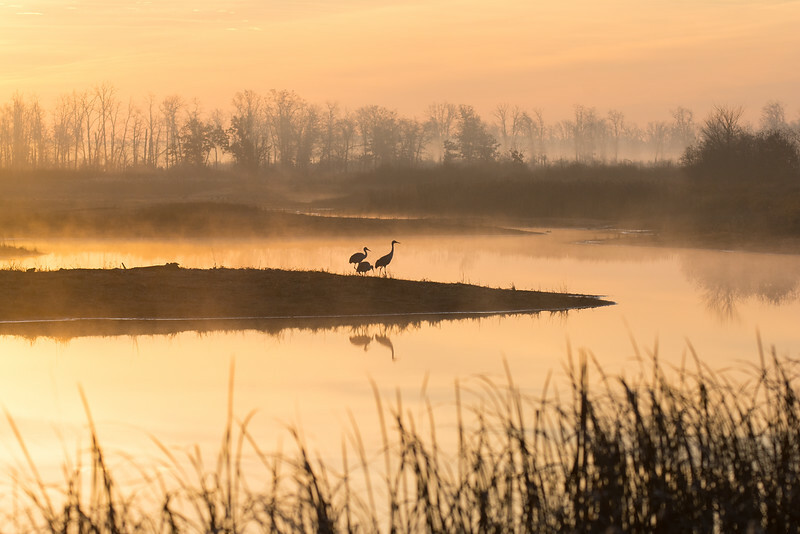 The atmosphere at sunrise was primordial as countless cranes moved through the area. I was obsessed with dinosaurs as a kid, and unless Jurassic Park happens, I think this is as close as I'll ever get.